Programming and Reprogramming: What Does It Take to Make a Cardiomyocyte? The incidence of myocardial infarction (MI), also known as heart attack, is the leading cause of morbidity and mortality around the world. The underlying pathology is typically loss of cardiomyocytes that leads to heart failure. Over the years, we have worked on understanding the molecular mechanisms underlying an innovative approach to convert endogenous cardiac fibroblasts into cardiomyocytes (called iCMs) to replenish the lost cardiomyocytes in damaged hearts. By leveraging the knowledge that faithful cell fate conversion requires a precise dosage and temporal expression of transcriptional factors, we identified the optimal ratio of cardiac reprogramming factors for more complete and efficient iCM generation. Hypothesizing that reprogramming involves significant chromatin reorganization, we profiled the epigenetic repatterning events during early iCM induction and identified epigenetic barriers to iCM conversion. More recently, we applied single-cell RNA-seq to overcome the difficulties of studying reprogramming due to the inherent nature of its heterogeneity and asynchrony. Our single cell transcriptomics approaches allowed us to reconstruct the route of iCM formation and uncover intermediate cell populations, regulatory pathways and genes potentially involved in iCM induction. Through these efforts, we have obtained novel insights into the transcriptional, posttranscriptional and epigenetic regulation of iCM reprogramming, and concomitantly improved the quality and yield of iCMs for future clinical application. We also anticipate that the experimental and analytical methods presented here, when applied in additional cell programming or reprogramming contexts, will yield crucial insights about cell fate determination and the nature of cell type identity. Dr.Qian received her undergraduate degree in biology from Fudan University and a Ph.D. in molecular and cell biology from University of Michigan, Ann Arbor. She then pursued postdoctoral training in cardiovascular and stem cell biology at Gladstone Institute, UCSF. 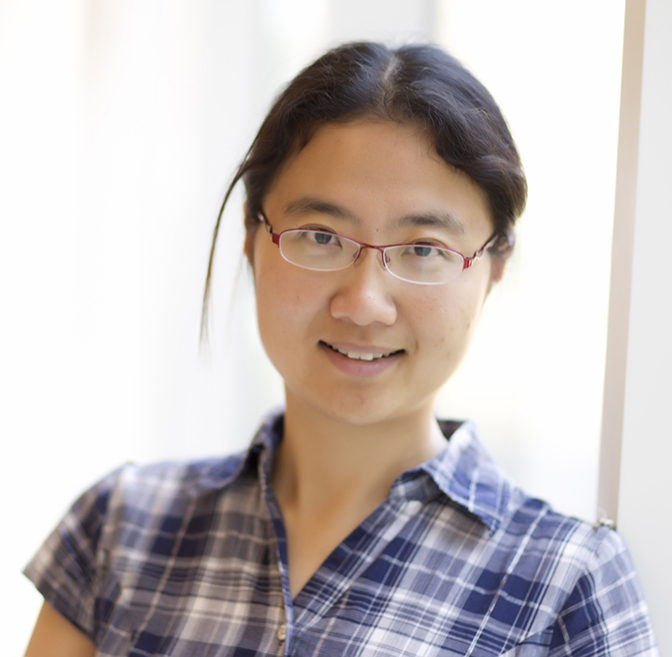 Currently as an Assistant Professor at UNC-Chapel Hill, Dr. Qian is exploring the reprogramming approaches for cardiac regeneration and disease modeling. In addition, Qian Lab takes advantage of traditional mouse genetics, cell and molecular biology, biochemistry and the recently advanced single cell omics technologies to investigate the fundamental events underlying the progression of various cardiovascular diseases as well as to discover the basic mechanisms of cell reprogramming.